The Wyoming County Soil & Water Conservation District has been involved in several stream programs throughout the county for many years. The District works with private land owners, other Soil and Water Conservation Districts, local municipalities, and NYS Department of Environmental Conservation on these stream projects. The District has maintained a General Stream Permit with the New York State Department of Environmental Conservation (NYSDEC). Through this permit, landowners and municipalities may do work in protected streams in Wyoming County. Project work that is eligible for this permit program could include the removal of small gravel bars, bank stabilization, minor realignment projects, culvert installations, fords, debris removal and other minor projects. The district also provides assistance with the preparation of permit applications for the NYSDEC and U.S. Army Corps of Engineers Stream Permit Programs as well as technical assistance in the implementation of these types of projects. 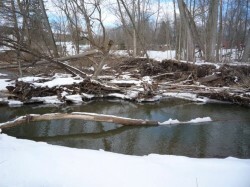 In 1998, the District initiated a countywide stream maintenance program to help landowners and municipalities with channel clearing of gravel, log jams, and flood debris from stream channels in Wyoming County. This program was in response to a severe flood that ravaged much of Wyoming County in 1998. The District and NRCS provide technical assistance with the USDA Emergency Watershed Protection (EWP) and Federal Emergency Management Agency (FEMA) stream protection and flood damage repair programs. Soil erosion reduces agricultural productivity, damages structures, contributes to poor water quality, degrades aquatic habitat, results in increased flooding and clogs our storm sewers, lakes, and rivers. Prevention of soil erosion is a priority of the District. 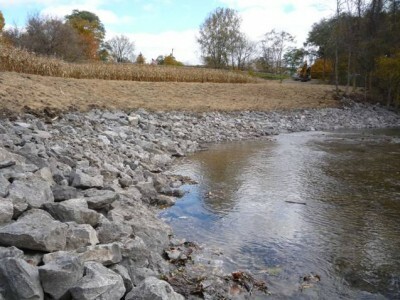 Wyoming County Soil and Water Conservation District takes a comprehensive approach to erosion control and provides technical assistance in the planning, design, construction, and management of erosion control practices. The District helps implement diverse projects on the landscape, ranging from agricultural best management practices to hydroseeding after a construction project. These practices all have the goal of keeping soil in place on the land. 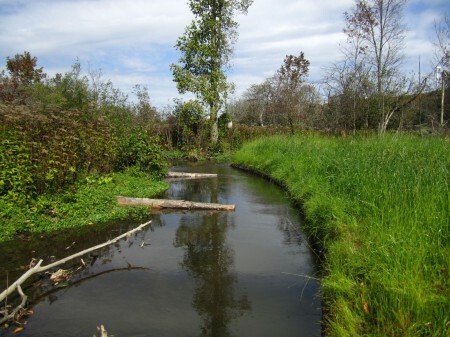 In addition, the District helps implement projects to stabilize streambanks. For decades, Wyoming County has worked on bank stabilization in Buffalo Creek through the Joint Board with Erie County. Today, streambank stabilization projects can be found throughout the County. These projects help protect infrastructure, people’s property, and water quality. For example, bank stabilization on Tonawanda Creek helped protect Dunbar Road in Attica. To find out more information on stream projects completed in Wyoming County, click on the links below.